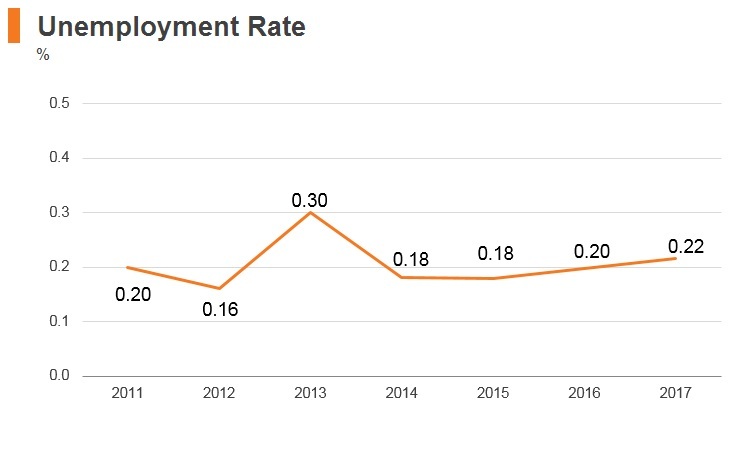 Cambodia attained lower-middle-income status in 2017, having sustained an average growth rate above 7% over the past decade, mainly driven by garment exports and tourism. 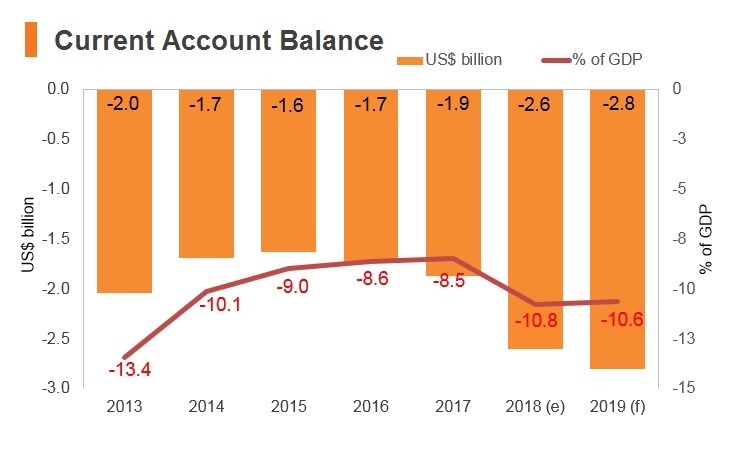 Economic growth is expected to remain robust in the medium term as recovering tourism activity and fiscal expansion compensate for some easing in garment exports and construction growth. In the future, maintaining macroeconomic stability and enhancing economic diversification, export competitiveness and quality of public service delivery will be key to sustaining higher growth. The Cambodian People’s Party (CPP) won all 58 seats of the Senate. Casino and water park project Wisney World was announced. The estimated USD1.1 billion resort situated in Sihanoukville is expected to be completed in four years. Cambodia received a loan of USD351.0 million from mainland China to build a new road in the Cambodian capital city Phnom Penh. The Cambodian National Assembly election was held on July 29, 2018. The ruling CPP won all 125 National Assembly seats. Chinese developer Union Development Group announced that it was investing USD1.2 billion to build the Tourism Vacation City, a holiday hotspot situated in Cambodia's Koh Kong province. Construction was expected to start in early 2019. On October 5, 2018, the European Union (EU) announced that it would conduct a six-month review on Cambodia's special trade access to the world's largest trading bloc. The World Bank's latest economic data revealed that Cambodia's efforts to attract tourists were paying off, with arrivals reached three million during the first six months of 2018. Tourists from mainland China ranked first, followed by those from Vietnam, Laos and South Korea. The EU reinstated three-year duties on rice from Cambodia, arguing that the cheaper imports had harmed European producers and caused them to lose some of their market share. Cambodian exports of rice to the EU had increased from 8,000 tonnes in 2009 to 345,000 tonnes in 2016. 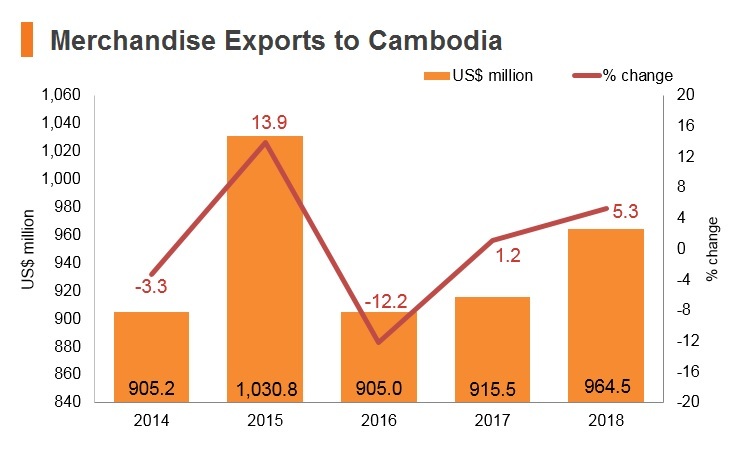 Textile exports remained a vital part of Cambodia's economy but the EU's six-month review – launched in October 2018 – of the Everything but Arms scheme was likely to have a negative impact on the industry in the short term. 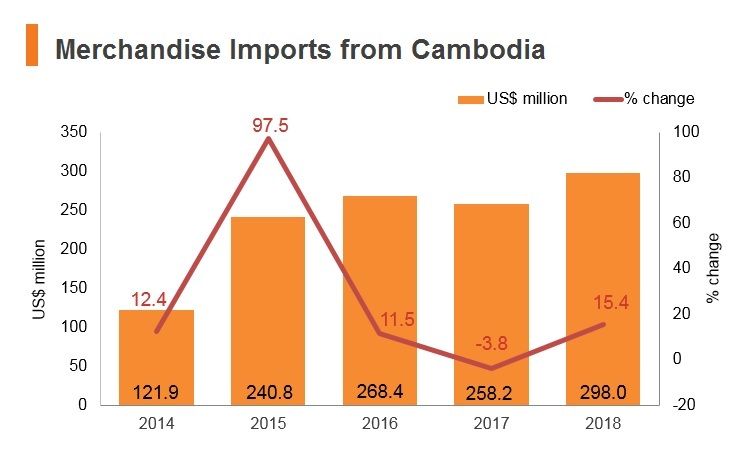 Although any withdrawal of the scheme would not occur until April 2020 at the earliest, EU-based companies may pre-emptively diversify textiles manufacturing away from Cambodia in the meantime. In April 2001, Cambodia joined the World Customs Organization and in October 2004 it became a member of the World Trade Organization (WTO). In February 2016, Cambodia ratified the WTO Trade Facilitation Agreement. Cambodia has been awarded preferential most favoured nation status by mainland China, France, Germany, the United Kingdom and the United States. Cambodia joined the Association of South East Asian Nations (ASEAN) in April 1999 and served as ASEAN chair in 2012. ASEAN members have agreed to lower intra-regional trade tariffs through the Common Effective Preferential Tariff Scheme for the ASEAN Free Trade Area. 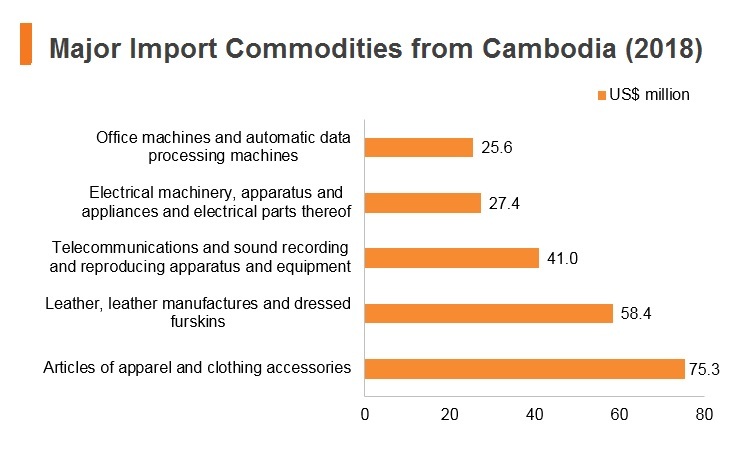 New members, such as Cambodia, have already gone a long way towards removing such tariffs, with almost 80% of their products being tariff-free, helping drive trade with Cambodia and the rest of the region. Since 2015, many tariffs between the ASEAN member states have been removed. The rewards of lower tariffs within the area have been seen, with regional trade booming in recent years, especially as Singapore is a major exporting partner. The import tariff rates, however, are high in Cambodia. The country's average import tariff rate of 9.8% is one of the largest in the East and South East Asia region. Cambodia imposes tax, such as value added tax (VAT) and special tax on certain imports (among which include gasoline and diesel). 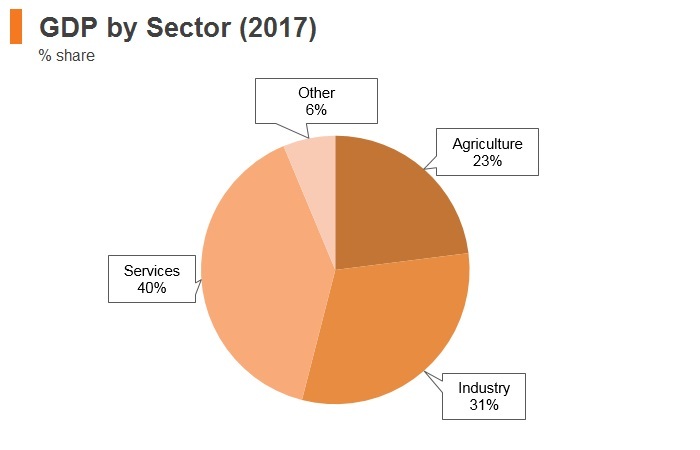 The highest ad valorem rate of 35% applies to finished agricultural products (including processed meat, processed fruit and vegetables and dairy products), finished industrial products and petroleum products. In addition to customs duties, Cambodia prohibits or restricts the importation of certain goods for a number of reasons, such as national security, public order, cultural, environmental, health and safety. Over 1,500 tariff lines are subject to import prohibition or licensing. 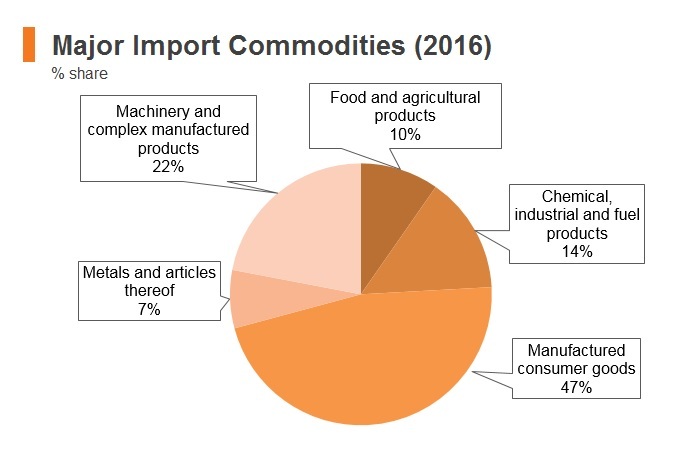 In 2017 Cambodia slightly increased the tariff protection for all agricultural products to an average of 16.1%, which remains higher than the most favoured nation applied tariff of 12.3%. 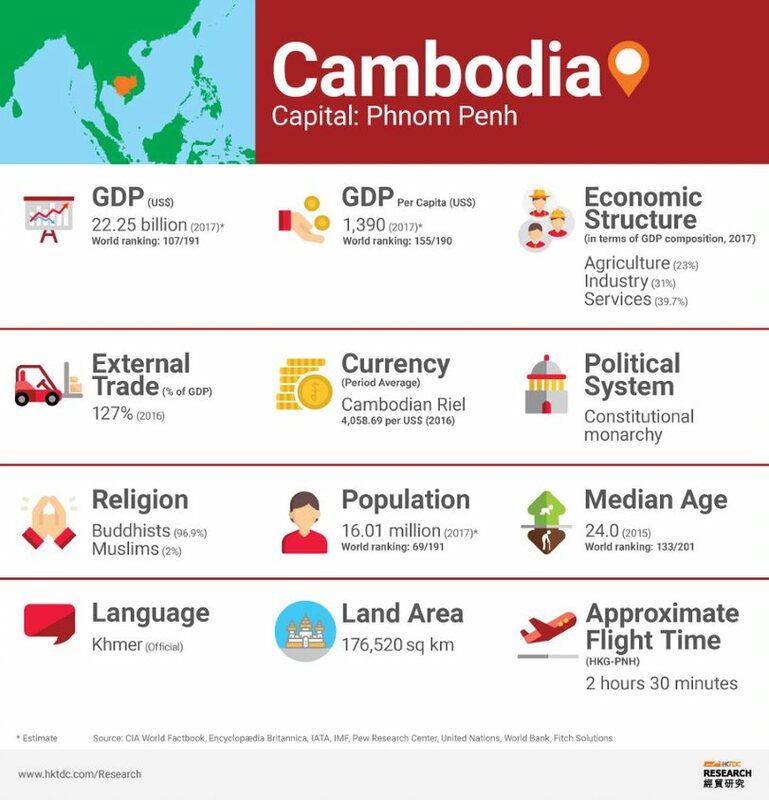 Cambodia is a member of the ASEAN, alongside Brunei Darussalam, Cambodia, Indonesia, Laos, Myanmar, the Philippines, Singapore, Malaysia, Thailand and Vietnam. 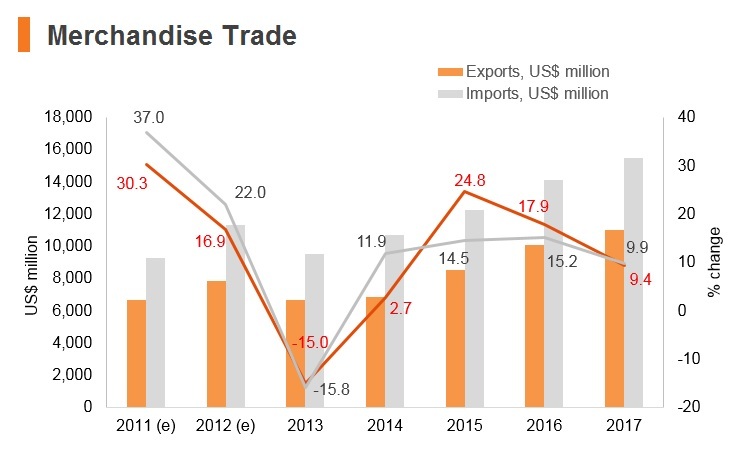 In 2016, ASEAN accounted for 37.2% of Cambodia's imports and 8.6% of Cambodia's exports (latest data available), making the group Cambodia's largest import and fourth-largest export partner. A number of free trade agreements (FTAs) has been signed by ASEAN. ASEAN-mainland China: The ASEAN-mainland China FTA covers goods and services. The FTA for goods came into force on January 1, 2005, and the FTA for services came into force on July 1, 2007. The agreement aims to eliminate tariffs, encourage investment and address the barriers that impede the flow of goods and services. The ASEAN-mainland China Free Trade Area came into force on January 1, 2010, and was upgraded in 2014. 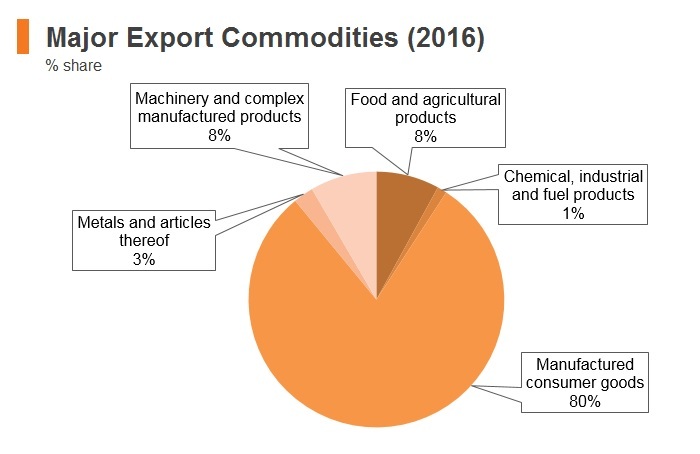 In 2017 ASEAN was the recipient of 12.3% of mainland China's exports and the source of 12.8% of imports. Total merchandise trade between ASEAN and mainland China grew by 215% between 2005 and 2016 (latest data available). Sino-Cambodian trade more than doubled between 2012 and 2016, reaching USD5.1 billion. ASEAN-India: The ASEAN-India trade in goods agreement came into force on January 1, 2010 for goods and on July 1, 2015 for services with the aim of minimising barriers and deepening economic linkages between the parties. Cambodia joined the agreement in July 2011. The agreement will lead to the progressive elimination of tariffs on all goods. 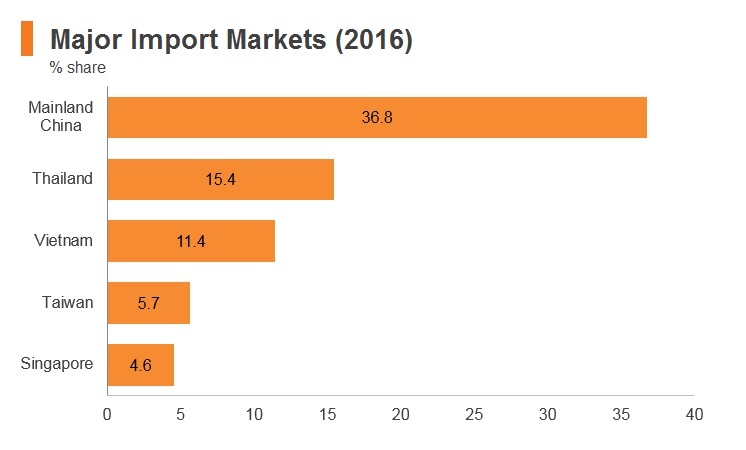 ASEAN accounted for 10.2% of India's imports and 12% of India's total exports in 2017. ASEAN-Korea: The ASEAN-Korea FTA (AKFTA) came into force in June 2007 and May 2009 for goods and services respectively. The investment agreement entered into force in June 2009. AKFTA aims to create more liberal, facilitative market access and investment regimes between South Korea and ASEAN. A business council was set up in December 2014 to enhance economic cooperation between parties and boost total trade to USD200.0 billion by 2020. 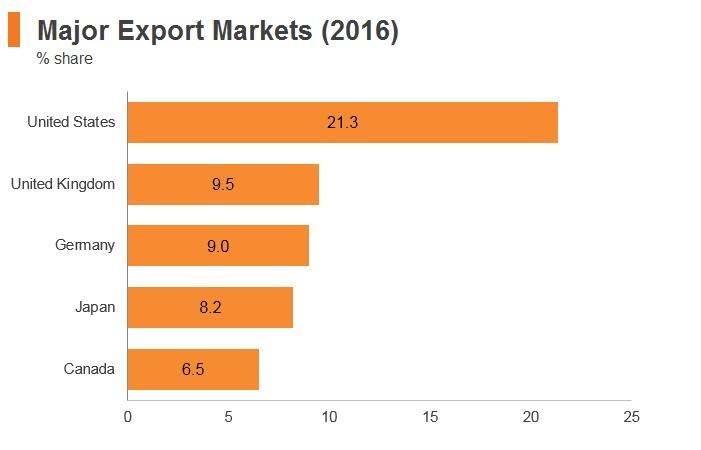 ASEAN was the recipient of 11.2% of South Korea's exports in 2017 and the source for 16.6% of imports. Total trade between ASEAN and South Korea grew by 68% between 2007 and 2017. ASEAN-Japan: The ASEAN-Japan FTA is for goods only and came into force on December 1, 2008. Cambodia joined the agreement in December 2009. This will lead to the progressive elimination of tariffs on all goods. ASEAN-Australia-New Zealand: The ASEAN-Australia-New Zealand FTA and Economic Integration Agreement for goods and services came into force on January 1, 2010. Cambodia joined the agreement on January 4, 2011. United States-Cambodia: A bilateral Trade and Investment Framework Agreement (TIFA) between the United States and Cambodia was signed on July 14, 2006 and allows favourable trade terms with the United States, which is Cambodia's largest exporting partner, accounting for 21.3% of Cambodia's exports in 2016 (latest data available). The TIFA provides a forum to address bilateral trade issues and allows Cambodia and the United States to coordinate on regional and multilateral issues. 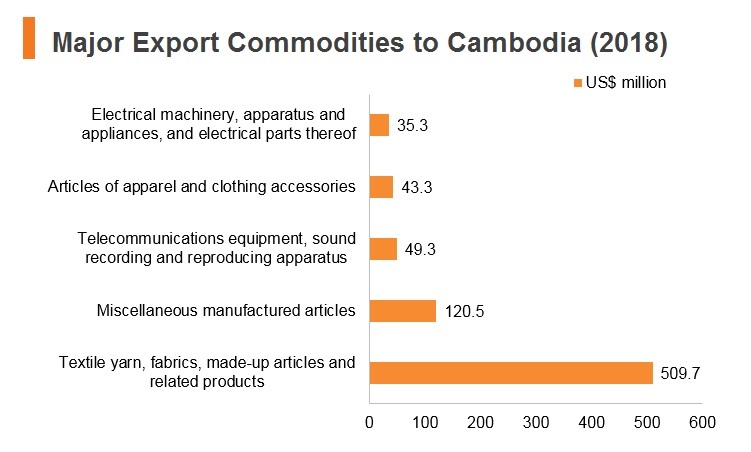 As Cambodia forms part of the United States' Generalized System of Preferences (GSP), many of its exports to the United States are exempt from tariffs. EU-Cambodia: Cambodia has been a major beneficiary of the EU's GSP, which grants virtually all products – except arms and ammunition from less-developed countries – duty-free and quota-free access to the EU market. EU trade accounts for approximately 42% overall of Cambodia's footwear and garments exports. In October 2018, the EU notified Cambodia that it would start the process for the withdrawal of their 'Everything but Arms' initiative. 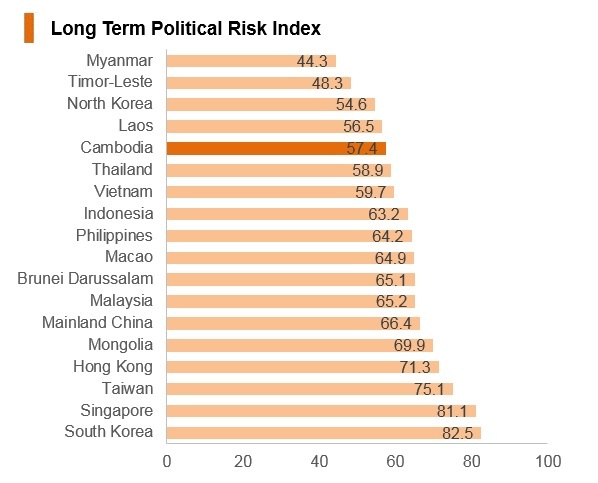 Cambodia's Law on Investment (1994) established an open and liberal foreign investment regime. All sectors of the economy are open to foreign investment and 100% foreign ownership is permitted in most sectors. In a few sectors, foreign investment is subject to conditions, local equity participation, or prior authorisation from authorities. 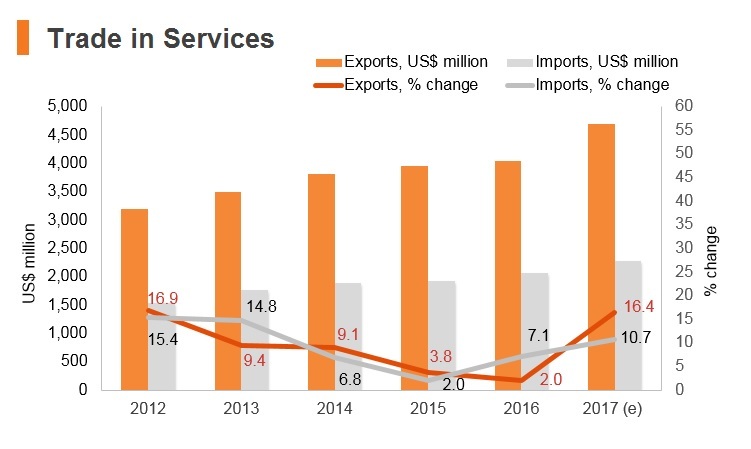 The Cambodian government has prioritised foreign investment in the export sector and has a relatively pro-investor policy and legal framework. Cambodia has no restriction on foreign ownership of companies and boasts a number of incentives such as a corporate tax holiday of up to eight years, a 20% corporate tax rate after the incentive period ends, duty-free imports of capital goods and no restrictions on capital repatriation. Under the Law on Investment (1994), foreigners are restricted from owning land but are allowed to hold long-term leases for up to 50 years, renewable for another 50 years, as well as freehold ownership of specified condominiums. 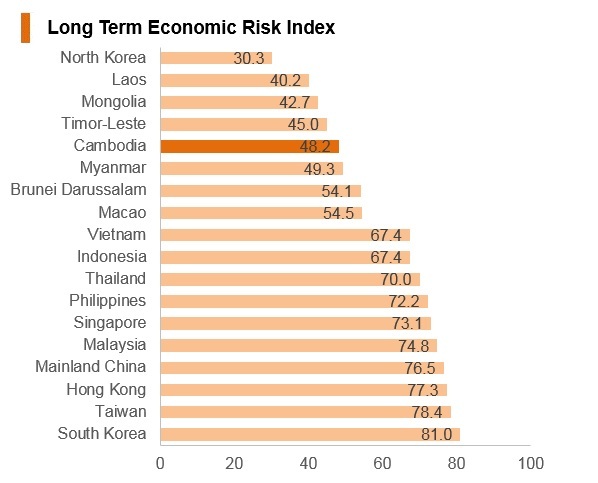 The most-popular sectors for foreign investment include garment manufacturing, agriculture, the services industry and tourism (which is one of Cambodia's key growth areas). 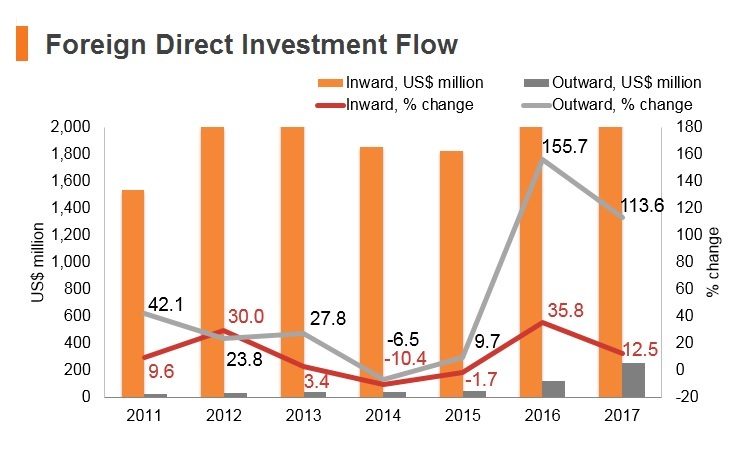 The country's biggest investors tend to come from within the Asia region, with mainland China, Malaysia, Vietnam and Thailand being major sources of foreign investment, together with the United States. Cigarette manufacturing, movie production, rice milling, gemstone mining and processing, publishing and printing, radio and television, wood and stone-carving production and silk-weaving are some of the sectors that are subject to conditions such as local equity participation, or prior authorisation from authorities. The Council for the Development of Cambodia (CDC) is the main authority on all strategic and regulatory aspects of stimulating investment in Cambodia. A company registered as a Qualified Investment Project (QIP) is entitled to certain incentives. The CDC requires a QIP to apply annually for a Certificate of Compliance to enable it to continue to receive the investment incentive granted under its investment licence. An exemption from corporate income tax on profit, which could be for a maximum of up to nine years (provided each of the three three-year increments is approved). Instead of the exemption from tax on profit, the QIP could elect to benefit from special depreciation allowances. The Cambodia Special Economic Zones Board (SEZs) has approved 25 SEZs, of which nine are in operation. These SEZs are located near the borders of Thailand and Vietnam, as well as in Phnom Penh, Kampot and Sihanoukville, facilitating regional trade. Others are still at different stages of development and some remain undeveloped. The government's purpose in establishing SEZs is to promote diversification of the industrial base beyond electronics, to establish economic linkages between urban and rural areas and to promote industrial investment outside Phnom Penh. The manufacturing industries attracted into the SEZs include secondary sectors producing garments, shoes, bicycles, food processing, car and motorcycle assembly. With the exception of the Sihanoukville Port SEZ, which is a public–private joint venture, Cambodia's SEZs are almost entirely privately owned and managed. As with QIPs, companies located in SEZs can be exempt from taxes on their profits for a maximum period of nine years. The importation of equipment and construction materials to be used for infrastructure construction in the zone is permitted and exempt from import duties and other taxes. The SEZ developer is responsible for the construction of all necessary infrastructure, including roads connecting the zone to the town and other public service infrastructure for the public interest, and shall receive custom duty exemption on the import of machinery and equipment for those purposes. The SEZ developer may obtain a land concession from the state to establish an SEZ in a border area or isolated region, and may lease this land to the SEZ industry investors. SEZ developers, investors or foreign employees have the right to transfer all the income derived from investments and salaries received in the zone to banks located in other countries after the payment of any tax due. The SEZ developer and investor are entitled to obtain the investment guarantees as stated in Article 8, Article 9 and Article 10 of the Law on Investment in Cambodia and other relevant regulations: non-discriminatory treatment as foreigners, non-nationalisation and no price fixing. The same incentives on customs duty and tax as other QIPs shall be available. The SEZ investor entitled to the incentive of zero-rated VAT will record the amount of tax exemption for every import. The record will be disregarded if the production outputs are re-exported. If the production inputs are imported into the domestic market, the SEZ investor will refund the amount of VAT recorded in comparison with the quantity of export. By January of 2019, Cambodia had signed new Double taxation agreements (DTAs) with Singapore, mainland China, Brunei, Thailand, and Vietnam for the avoidance of double taxation and the prevention of fiscal evasion with respect to taxes on income. The agreements with Singapore and Thailand have been effective from January 2018. However, the agreements with mainland China, Brunei, and Vietnam were not yet effective (at the time of writing). The percentage of foreign workers is capped at 10% of all the staff working for an enterprise. The Ministry of Labour may approve a request for an exemption to the 10% limit, particularly if the business is in need of specific skills currently unavailable in Cambodia. The application for a 'foreign quota approval' from the Ministry of Labour must be submitted between September 1 and November 30 every year if the 10% limit is exceeded. Failure to comply with the foreign employee quota and work permit requirements could (among other things) result in the imposition of fines of up to USD180.0 and retroactive penalties in the amount of USD100.0 for each year that a foreigner has worked in Cambodia without a valid work permit. No foreigner is allowed to work in Cambodia without a valid work permit and an employment card issued by the Ministry of Labour. Under current practice, foreign nationals working or doing business in Cambodia and holding either an e-Visa (also known as a 'business visa' or 'ordinary visa') or a K visa (also known as a 'permanent visa') are required to have a work permit and an employment card. There are two types of work permits in Cambodia: a temporary work permit (which lasts for the duration of the individual's visa) and a permanent work permit (which is reserved for major investors). A work permit usually costs USD100.0. Furthermore, foreign nationals wishing to work in Cambodia must also meet additional conditions, such as not having communicable diseases. Nationals of most countries can be issued with a visa on arrival – except citizens of Brunei Darussalam, Indonesia, Laos, Malaysia, Myanmar, the Philippines, the Seychelles, Singapore, Thailand and Vietnam, who do not require a visa before travelling to Cambodia for a stay of between 14 and 30 days. All foreign nationals are legally required to have a work permit if intending to work in Cambodia. 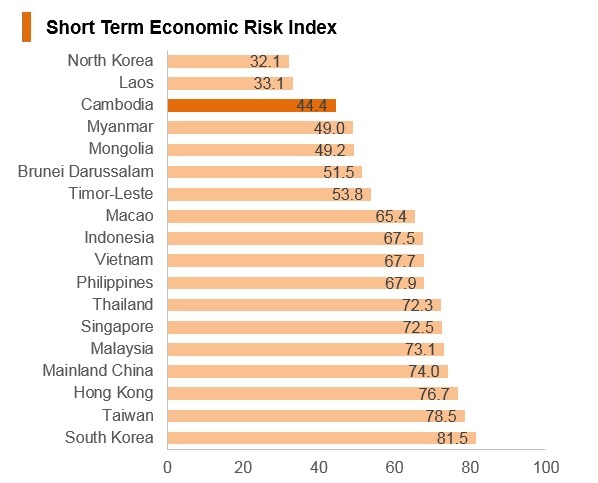 Cambodia relies on external financing and has a lack of capital markets. 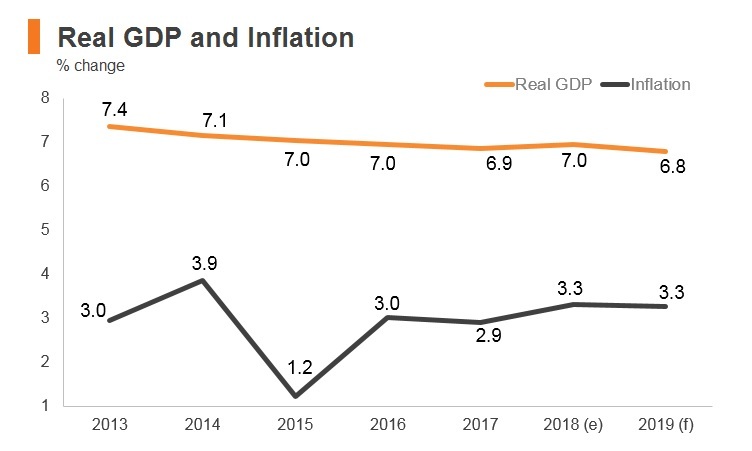 We expect to see 5-6% real GDP growth across 2019 due to rapid investment in the tourism, garment and agricultural sectors over the coming years. Finally, the currency peg with the United States dollar affords some stability in monetary policy, but acts as a restriction in terms of policymakers' ability to respond to economic shocks. 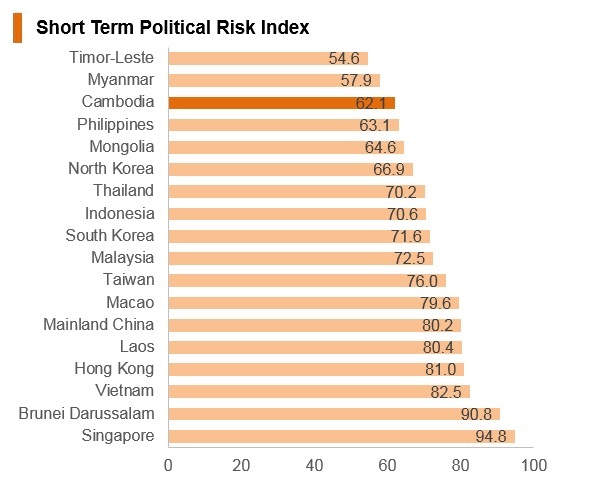 After decades of internal conflict, Cambodia has emerged as one of the fastest-growing markets in South East Asia. 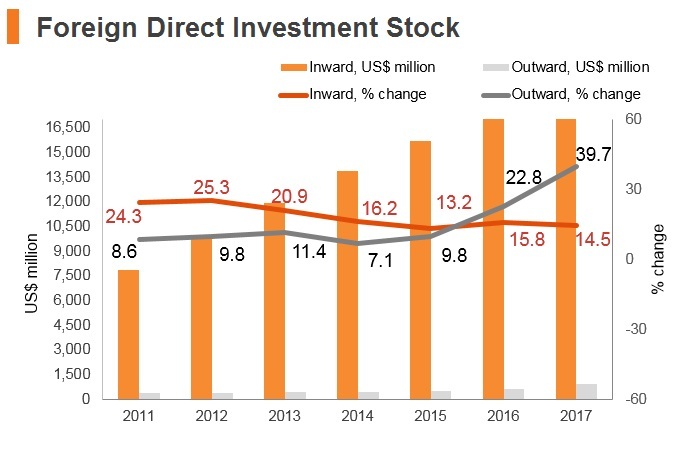 Investors stand to benefit from the large labour pool, low wages and openness to foreign direct investment, which help to make the country an attractive investment destination. There are, however, considerable risks presented by the country's lack of adequate education and its underdeveloped transport network. Mainland China and Cambodia signed an Agreement for the Avoidance of Double Taxation (DTA) on October 13, 2016, and Investment Promotion and Protection Agreements which came into effect on February 12, 2000. Hong Kong and ASEAN signed a FTA and an Investment Agreement on November 12, 2017. The agreements are expected to come into force on January 1, 2019. The main activities of HKAECF are to contribute to the fostering, promoting and facilitating of economic cooperation between Hong Kong and the 10 member countries of ASEAN ('1+10'), and between the ASEAN region and mainland China ('10+1') with Hong Kong serving as a high value-adding and facilitating key international hub, bridge, connector, promotor and investor. Hong Kong SAR passport holders need a visa to visit Cambodia.